Sed ut perspiciatis unde omnis iste natus error sit voluptatem accusantium laudantium, totam aperiam, eaque ipsa quae. From our domestic residential projects, to full scale historic building restoration we strive to preserve the integrity of the original design of the building while incorporating your needs and desires in order to deliver the highest most successful results. 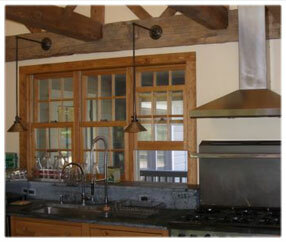 If your project requires use of specialized material such as antique timber and beams, lumber, or flooring the reproduction of original trim and moldings then you can rest assured we have the experience and skill to work to the highest standards to produce the results you are looking for. Babcock Brothers Restorations Inc. began in 1983 as Babcock Brothers Construction. A year later we incorporated and became Babcock Brothers Restoration Inc. The company is owned and operated by David W. Babcock who has been in the restoration industry for more than 30 years. David Babcock is the eldest son of the famous barn preservationist Richard W Babcock.